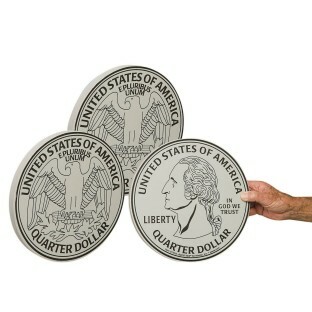 S&S Exclusive set of 3 jumbo foam quarters. A hilarious addition to any group activity! Use in toss games, with parachutes or as prizes. This S&S Exclusive set of 3 jumbo foam quarters is guaranteed to be a hilarious addition to any of your group activities. 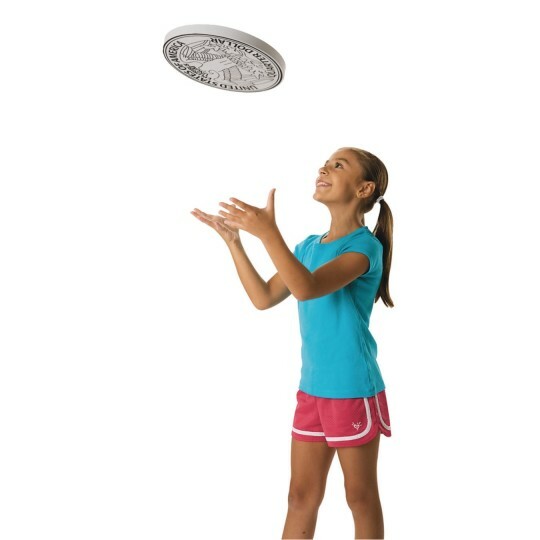 Use them in toss games, with parachutes, as prizes and awards - or simply toss in the air to determine the start of any game. Includes dense foam quarters and activity sheet with game ideas. Each quarter measures 12"-diameter x 1" thick.